This is what you’ll find when you venture into Boundary Country: lush, fertile farmland; rolling, climbable hills; wide, open spaces and a history steeped in Canada’s industrial boom mingled with Russian immigrants and Japanese internment camps. 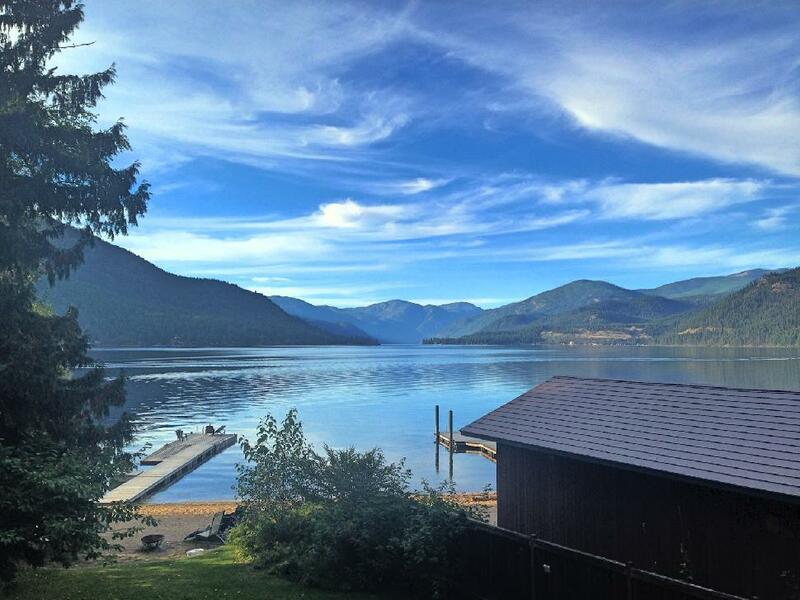 Boundary Country is aptly named, as it is situated along the border between Canada and the United States, east of Osoyoos and west of Castlegar in the Kootenays. Several small settlements comprise the Boundary region. Greenwood is Canada’s smallest city; Rock Creek survived a massive wildfire in summer 2015; Midway is home to Mile 0 of the Kettle Valley Railway and Grand Forks is the largest city in the area with nearly 4,000 residents. This region is a rare find. 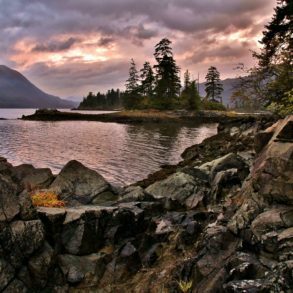 While other destinations are being flooded with tourists, the Boundary remains a tranquil, unspoiled spot for singles, friends, couples, families, cyclists, horse-back riders and outdoor enthusiasts looking to escape the big-city hustle and enjoy a simple, natural section of B.C. The Boundary’s most obvious draw is the Kettle Valley Railway, which locals refer to as the Trans Canada Trail (TCT). The train tracks have long since been ripped out, leaving a wide dirt path for cyclists, horseback riders and hikers to explore. Trains can’t chug up much more than a two per cent grade, which means the trail is relatively flat and do-able for all levels of cyclists. Biking equipment can be rented at Wildways in Christina Lake or Chain Reaction Ride and Slide in Grand Forks. 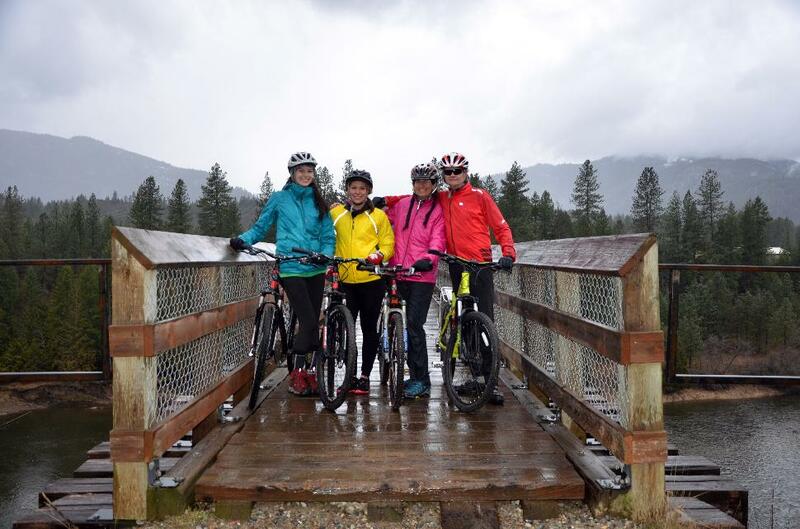 Rain or shine, the rush of cycling across wooden trestles over raging rivers is a worthwhile summer adventure. The TCT can be accessed throughout the Boundary; just ask a friendly local for the nearest jumping-on point. The citizens of the Boundary are proud of their little community. They support local, purchasing their groceries from the quaint farmers market, where neighbours dish out extra-helpings of home-made sauces and jams made from fruit and vegetables they grew themselves. They spent their time and energy on small-town events, local art shows, theatre performances and tourism ventures that add a distinct flavour to the region. Many amazing things in the Boundary run completely on volunteer power and community funding. 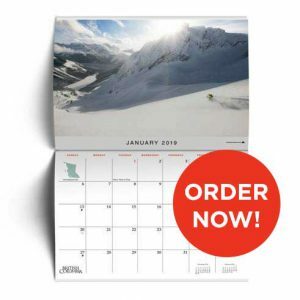 After spending only a day in Grand Forks, visitors will already begin to recognize friendly faces around town and experience the warm hospitality of the West Kootenays. Greenwood, Midway and Rock Creek have similar small-town vibes that immediately make them feel like home. In 1899, the Doukhobor came to Canada from Russia. They mostly settled in Saskatchewan initially. In 1908, a large group of Doukhobor moved to Grand Forks. They are known in the area as the USCC (The Union of Spiritual Communities of Christ). 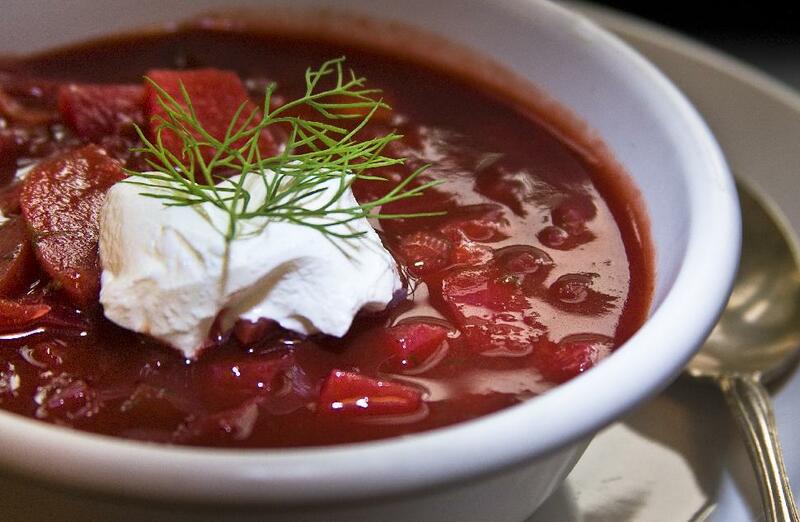 They lived in communal houses and cooked a delicious beetroot soup called Borscht. Their influence in the Boundary is still strong, leaving many wonderful restaurants where guests can slurp up a first-class bowl of Borscht. The history of the Doukhobor in Boundary Country is preserved at the three museums along Highway 3: the Kettle River Museum in Midway, Greenwood Museum and Visitor Centre, and the Boundary Museum in Grand Forks. Fishing, boating, swimming and sun-tanning are some of the more indulgent past-times for tourists to enjoy in the Boundary during the summer. Christina Lake is the warmest tree-lined lake in North America. With its proximity to the TCT, it is a hot-spot for tourists, campers and retirees. To escape the crowds, head to Jewel Lake, where you will be greeted with calling loons, blue herons and quiet reflections. Motorized boats are allowed on Christina Lake, but not on Jewel Lake. Life jackets can be borrowed for free from the Grand Forks Recreation Department. All around the Boundary, brush- and tree-covered hills invite visitors to hike their faces. Observation Mountain is a great mid-day scramble, with a rewarding view that overlooks Grand Forks from an elevation of 546 metres. 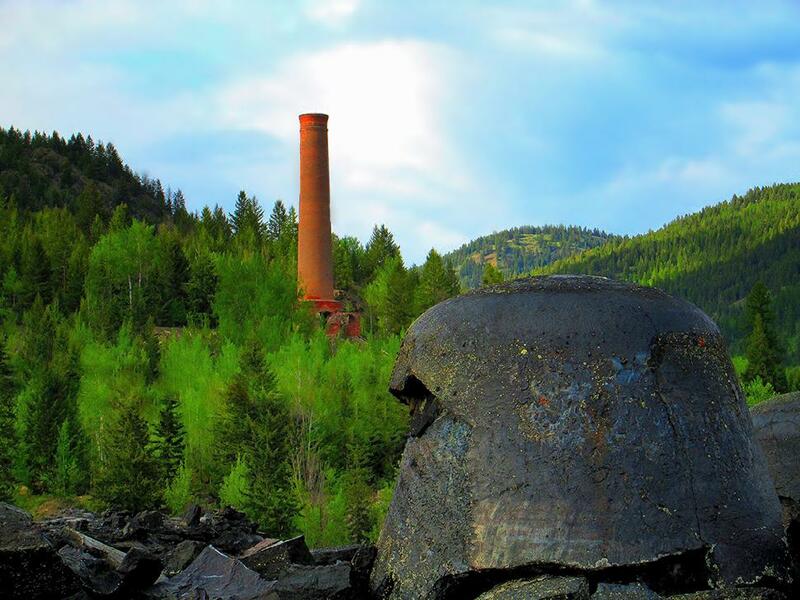 The abandoned BC Copper Company smelter on the outskirts of Greenwood is an eerie sight. Hikers can climb the leftover mound of black slag and wander through the “Hell’s Bells”—a black, cone-shaped by-product of copper extraction—before climbing up to the smelter itself. Please respect this historic structure by refraining from vandalism and littering. When hiking around the Boundary, remember to wear sunscreen, dress appropriately and watch for rattlesnakes. With the boom and bust of the gold rush, mines and migration, settlements in this section of the Wild West were torn down and abandoned just as quickly as they were built up and flocked to. 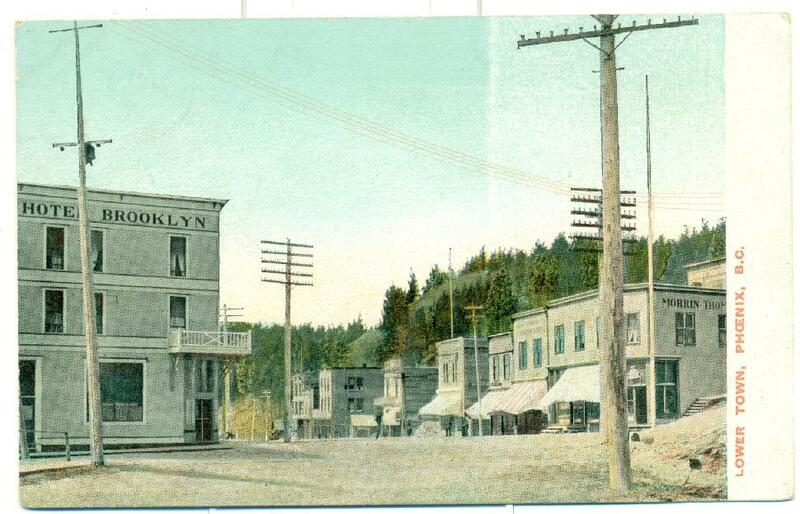 The town of Eholt used to have its main street right where Highway 3 zooms through the bush today. 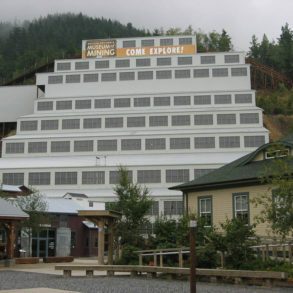 Once a busy railway intersection for transporting supplies to the Phoenix mines, all of the buildings have since been torn down, burned down or relocated, and barely a trace of the old community remains. Phoenix was a large settlement of 4,000 citizens, known as “Canada’s highest city.” Today, the only remnants are a cemetery and a cenotaph (Greek for “empty tomb”). Visitors pass the site of Phoenix’s once-profitable copper mine on their way to the Boundary’s community ski hill, Phoenix Mountain. The ski hill has 800 vertical feet and 16 runs, all accessed by the original t-bar built in 1968. The Boundary has plenty of shops for tourists to pick up unique souvenirs or sought-after antiques at reasonable prices. Don’t expect box stores or brand-name clothes: this is a place for the quirky, the odd, the unexpected and the wonderful. 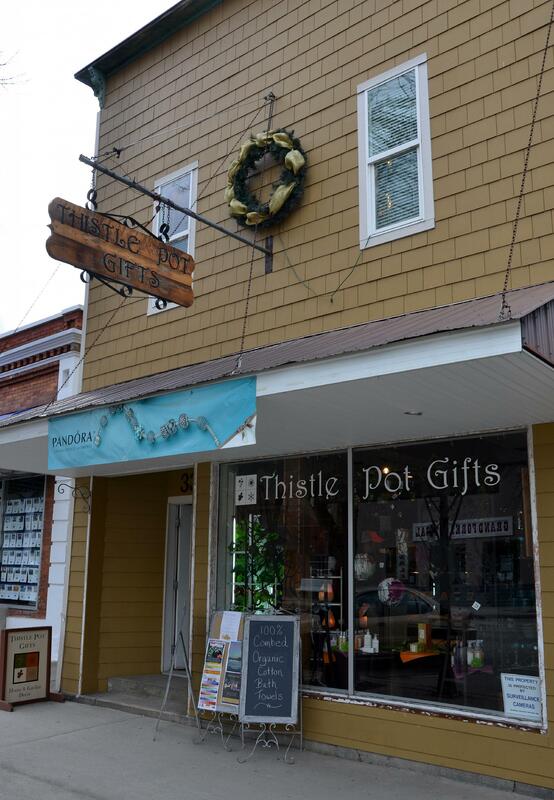 The Thistle Pot and Love Bamboo in Grand Forks carry household décor and bamboo-made clothing, respectively. Rags, Relics and Rutabagas in Rock Creek is draped from the ceiling to the floor in antique paintings, silverware, shoes, toys and possibly every random item you could dream of (and more). Make sure you have enough time to sort through the piles of donated items and talk with Pat, a historian and author. When the laundry is out on the line, she’s in. It is important to bring an adequate amount of cash to the Boundary, as many stores still don’t take debit or credit cards. From Ponderosa Music Festival in Rock Creek (August 19-21) to Founders Day (July 9th), big and small, travelling and permanent events transpire throughout the summer. Watch daring BMXers hurl themselves off jumps during the weekly Grand Forks Canada Race Night every Wednesday from 5 p.m. to 8 p.m. Browse stalls of fresh produce and hand-knit, hand-carved and home-cooked goodies at the bi-weekly Farmer’s Market at Gyro Park in Grand Forks, Tuesdays and Fridays from 8 a.m. to 1 p.m. Enjoy Hardy Mountain Coffee, roasted on-site, while listening to a live jazz quartet every Tuesday morning 10:30 a.m. to 11:30 a.m. at Kocomos Coffee House, or join the drum circle Monday afternoon from 1 p.m. to 2 p.m. Talk to locals and read the posters around town for more timely events! 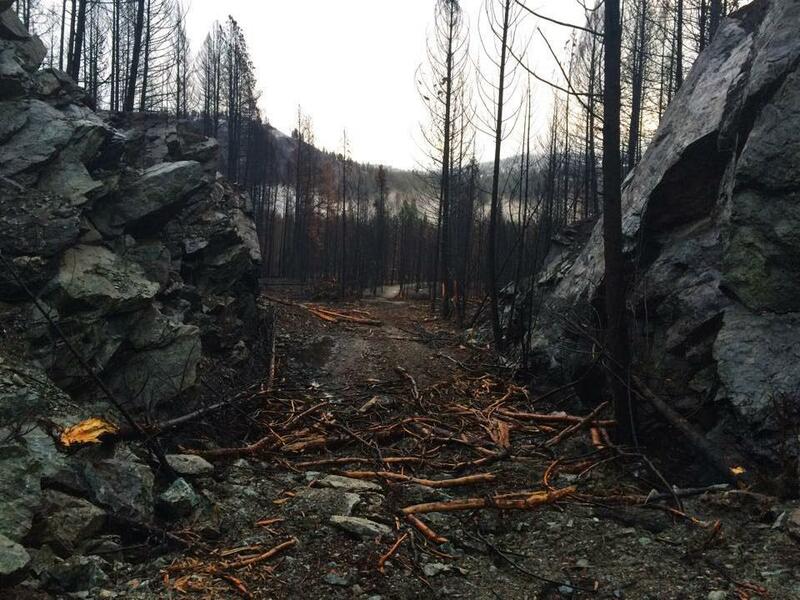 The tiny, adorable settlement of Rock Creek avoided major repercussions from a wildfire last summer, but the community is still devastated by the loss of their once-abundant greenery. 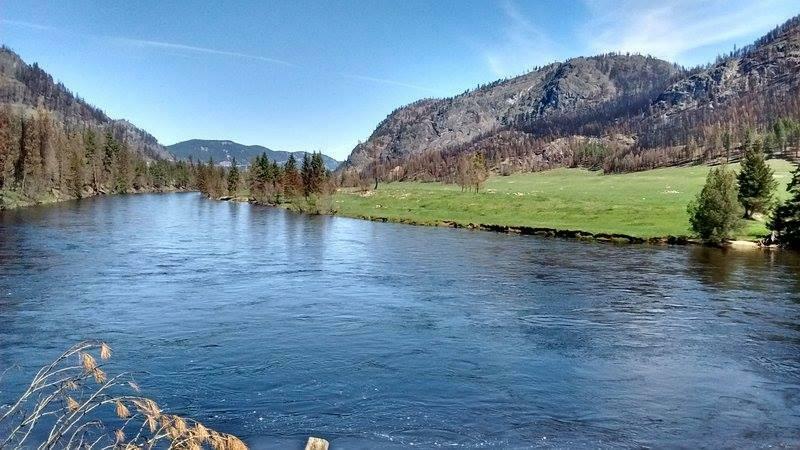 The Rock Creek Riverside Campground will still be in operation this summer, with burnt, scarred trees telling the story of the strong survivors that came back to support it. The surrounding area still has hundreds of hectares of lush forest to explore on a bicycle, on horseback, or on foot. 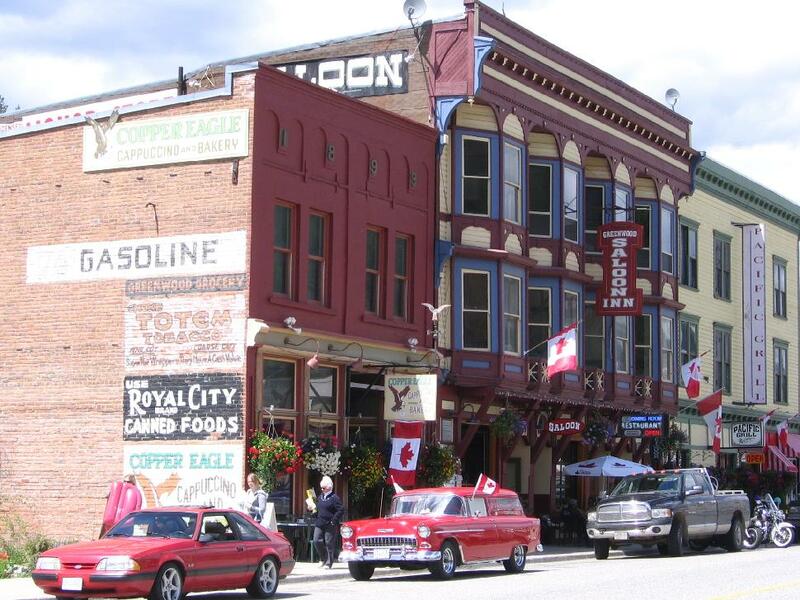 With approximately 700 residents, Greenwood proudly bears the title of “Canada’s smallest city.” Only a few kilometres to Phoenix Mountain and the Trans Canada Trail, there are plenty of activities to keep visitors busy off the main street with its colourful, well-preserved heritage buildings. Greenwood holds the unpleasant position of having the first Japanese internment camp in B.C. 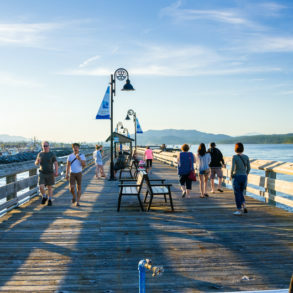 However, the small city is known for treating its new citizens well; after the end of World War II, many Canadian-Japanese residents chose to stay in Greenwood to work, marry and raise their families. Greenwood’s other claim to fame is winning the title of “world’s best municipal drinking water” at the 22nd annual International Water Drinking Competition in West Virginia. Listen to the rustle of the wind between the trees. Whistle along with the birds. Float down the Kettle River on an inflatable tube. Saunter down Main Street, peaking into unique stores for locally made goods. Take your family fishing. Unplug from your cell phone (but plug in your electric car, with the numerous electric car charging stations scattered throughout the Boundary). Disconnect from your duties. Best of all, let yourself relax, whether it be along the shoreline of Jewel Lake with a used book from Rags, Relics and Rutabagas, watching a local theatre play at Grand Forks Secondary School, or over a steaming bowl of Borscht and freshly baked bread at the Borscht Bowl. This is your time, your space, your Boundary. Have you ever been to the Boundary? 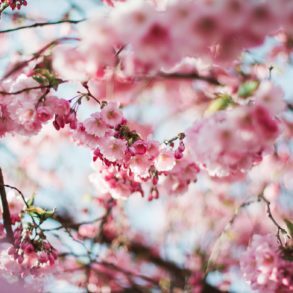 Share your experience with us: tag us on Instagram or Twitter!